The chancellor is being warned again of the cost to fleets if he pushes ahead with anti-diesel measures in tomorrow’s Autumn Budget, as concerns mount over a possible diesel fuel duty rise. According to fuel and mileage cost management specialist TMC, driving fleets to switch from diesels to petrols as a result of government measures could see fuel bills increase by 35%. TMC data from over 8,000 vehicles showed that diesels averaged 49.8mpg in real-world use compared with 36mpg for petrol cars and 41.6mpg for petrol hybrids. The cost of fuel for the diesels in the sample averaged 11.2 pence per mile but petrol averaged 15.2 pence per mile – 35% higher. This would increase the full bill over 10,000 miles for the average diesel driver by nearly £400 (£1,122 for diesel vs. £1,515 for petrol). In response, TMC has lent its weight to a growing call for the government to not adopt a blanket approach to ‘diesel demonisation’ and to recognise the strides in technology made by Euro 6-compliant diesels. “I would like to see the government produce convincing figures to show that today’s diesels contribute disproportionately to the problem. Or how hurting fleets, the biggest market for clean diesels, would have any effect on the number of older, dirtier diesels on the roads,” said Paul Hollick, managing director of TMC. Hollick’s comments come as an increasing number of firms call on the government to recognise the impact of diesel taxes – first mooted in the Spring Budget – on fleet operators, including the BVRLA which has said that such a move could prove counter productive. 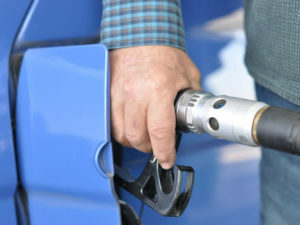 However, concerns are now mounting over a possible 1ppl increase to fuel duty for all diesel drivers in this week’s Autumn Budget, with the Petrol Retailers Association (PRA) says it’s been informed by a “well-placed parliamentary source” that such a rise is on the cards along with a 1ppl reduction to the duty on petrol. Brian Madderson, PRA chairman, said: “We have repeatedly warned the Chancellor against such an economically regressive move because it will push up prices for consumer and businesses already suffering with inflation at a five-year high.”For more of the latest industry news, click here.